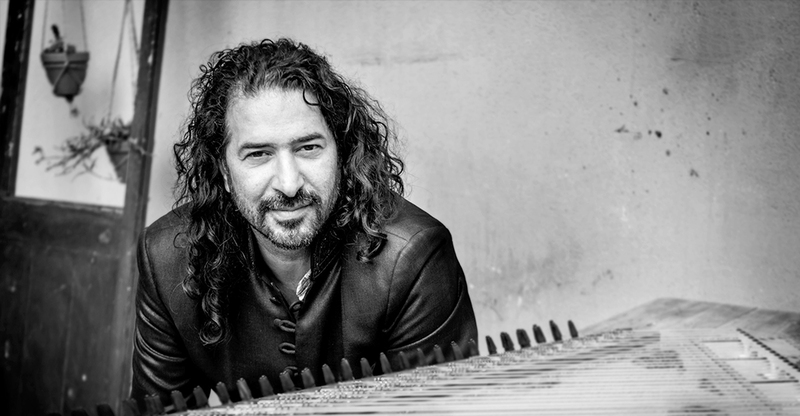 Jedid, the title of the latest project by Iraqi musician Osama Abdulrasol and his quintet, might refer to an Arabic/Urdu word meaning “modern” or “new,” an apt label for a body of composition that seeks to bridge languages and musical styles with common themes in fairly refreshing ways. 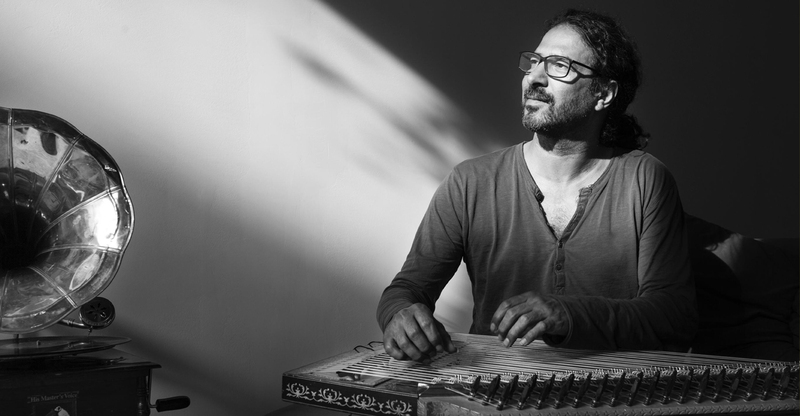 Abdulrasol, a master of the 'ud and the qanun (Arabic lap harp), extemporizes on romantic and spiritual love: the vocals, by Belgian singer Helena Schoeters, draw on the work of famous poets and original lyrics. The others in the quintet (Philippe Thuriot, accordion; Lode Vercampt, cello; François Taillefer, percussion) alternately support and embrace the melodies of each track. A key point of interest for this project is that though the lineup is clearly international, the languages of the lyrics extend well beyond the band members' individual cultural backgrounds. Despite their variety, the linguistic and purely musical elements commingle effectively due to common expressive goals. 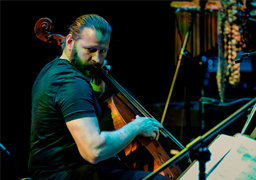 For example, “Ghazal” overlaps Schoeters' vocal ornaments and Abdulrasol's qanun tremolos characteristic of Arabic love-song styles with seductive lyrics in French and Arabic (“I love the taste of this forbidden fruit”). 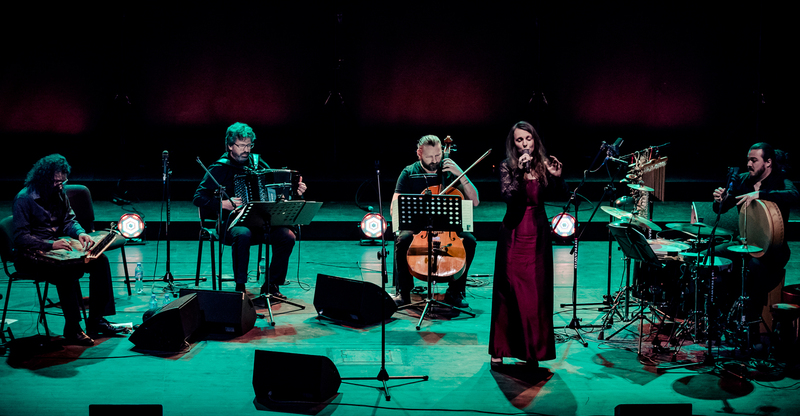 In the second half of the tune, Thuriot takes over melodic duties with some dazzling accordion work evocative of the iconic Parisian street sounds that have made listeners fall in love from afar for decades. 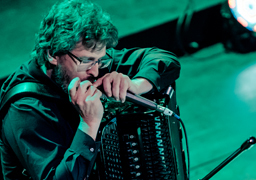 is internationally recognized as one of the most virtuoso and versatile accordion players of this moment, loved both in the world of jazz as in the classical music scene. He was the first to record Bach's Goldberg Variations on accordion. 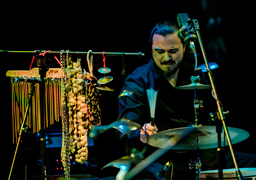 evokes with his unique collection of percussion instruments all the possible rhythms from India till the Middle East. 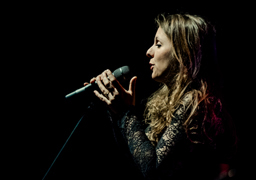 toured as a soprano singer all around Europe. 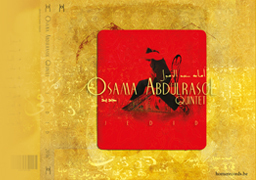 She mixes in a unique way classical and traditional elements in her voice, which makes her the perfect interpreter of Osama Abdulrasol's compositions. enriches both with his multitude of styles and sounds, as with his ability in improvisation the musical world of the quintet. © 2005-2019 Osama Abdulrasol. All Rights Reserved.